Happy Birthday can be expressed with the gift of flowers from Willow Branch Florist of Riverside in Riverside, CA. Want a unique birthday present? Have custom birthday flowers deilvered by Willow Branch Florist of Riverside! Our florists in Riverside can deliver a bright and beautiful birthday flowers to someone's home or we can deliver eyecatching and awe inspiring birthday flowers to their workplace. Whether you're looking for a unique birthday gift, party decor, or floral centerpieces floral arrangements are always sure to make a statement. Out of town? Don't let that stop you from wishing someone "Happy Birthday". Surprise them with the delivery of a vase of our best roses, tulips, or daisies, just to name a few, from Willow Branch Florist of Riverside. There really is no better way to say, "I love you" or "Just thinking about you" than with flowers from a premier Riverside florist. 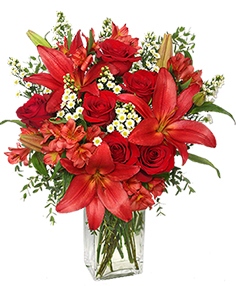 Willow Branch Florist of Riverside is your local Riverside Florist with beautiful flowers arranged by professional florists that hand delivers to your doorstep in Riverside ca Browse our selection of sample birthday arrangements. 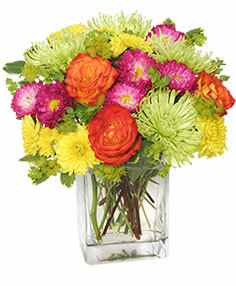 Order birthday flowers online with same day delivery to Riverside Ca from Willow Branch Florist of Riverside. You can order online from Willow Branch Florist of Riverside or give our flower shop in Riverside Ca a call today to schedule a flower delivery! Willow Branch Florist of Riverside in Riverside, CA has flowers, flowers and more flowers perfect for any anniversary, whether it is your first or your 50th wedding. Anniversary flowers are always a great way to remind that special someone how much you care. Does your significant other seem to have everything? Let Willow Branch Florist of Riverside share some anniversary gift ideas with you. Roses are a classic way to say "I Love You" on your anniversary, while a custom floral arrangement from Willow Branch Florist of Riverside always makes a perfect surprise. We can also design a gift basket with your special someone in mind. Gourmet snacks, fun jewelry and accessories, luxury bath products, or stuffed animals are a great way to show your affection. Top off your unique anniversary gift with a balloon bouquet that is sure to add a smile. Browse our sample selection of floral arrangements especially designed by our florists with your anniversary in mind. Whether you want a more traditional gift this year or one that is a little more unique, let Willow Branch Florist of Riverside in Riverside California take care of your anniversary needs with the delivery of a beautiful bouquet of flowers. Willow Branch Florist of Riverside is your local Riverside Florist with beautiful flowers arranged by professional florists that hand delivers to your doorstep in Riverside CA, surrounding area and even out of state and international orders through our network of trusted florists. Imagine sitting at work, like you do day after day, working hard when a stunning arrangement of fresh flowers arrives in front of you, sent from a friend who you haven't seen in a while. What a positive impact it would have on your day! Don't you want to give your friends and loved ones that experience? Even a simple card message saying "Just wanted you to know I'm thinking of you" or "hope these brighten up your day" can totally change someone's day! Have you been treated like royalty when visiting the home of a friend or family memeber recently? Have you really appreciated a favor that someone did for you lately? What about the neighbor that cared for your pets while you were ut of town last month? Wouldn't it be perfect to thank them with a flowers or a loveley house plant? 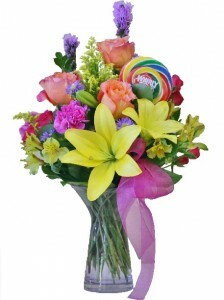 Give your local flower shop in Riverside a call to have something hand delivered to their door! Is someone's wedding anniversary soming up? How about your own wedding anniversary? Think about having roses or a romantic arrangement delivered! Is there someone you have just met and want them to know you are thinking about them? How about sending that special someone something anonymously... they are sure to smile and feel good about themselves!Sending fresh flowers is also a great way to spice up a relationship... everyone loves feelingspecial and our florists can put together a fabulous arrangement of fresh flowers that will do just that! People who remember birthdays are what makes a birthday special! 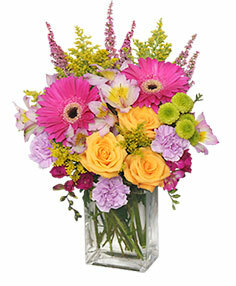 EVERYONE loves receiving a fresh, vibrant arrangement of flowers for their birthday! Or maybe you would like to send them a delicious gift basket of goodies to share with family and friends that you know they wouldn't usually buy for themselves! Make someone's birthday truly special this year with a fabulous fresh flower delivery from your local florist - Willow Branch Florist of Riverside! Has a friend of yours or loved one achieved a major promotion recently that they'd been working towards for ages? Has someone else just announced their engagement or wedding plans? 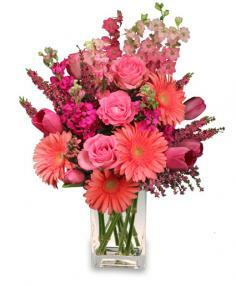 Why not show that you understand how much it means to them by sending a gorgeous arrangement of fresh cut flowers? For a bit of festive flare you can also add balloons! Many people go through life too scared to 'step out' of their comfort zone and do something that may change their lives forever. Some may never complete the application for their dream job because they don't think they're up to it... others may be condemned to a life of loneliness because they're too worried about starting a conversation with the stranger standing in front of them in line. So go on... send that person you just met a beautiful bouquet of flowers. You never know where it might lead! Whether you would like to send flowers to Riverside CA, send flowers nationally or even if you would like to send flowers internationally we've got you covered. 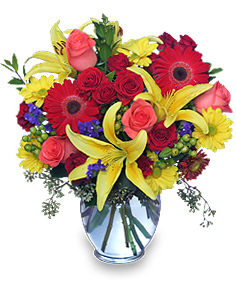 If you need birhtday flowers, anniversary flowers, get well flowers, funeral flowers or if you want to send roses in Riverside you can order your flowers online or give our local Riverside florists a call at our flower shop in Riverside. 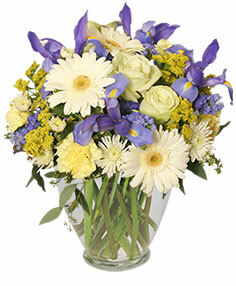 We look forward to helping you enhance every special occasion with flowers!